We list the 10 definitive Chennai-only things to shop for on your next trip to the city. Curios and cultural items at Dakshinachitra. South India is replete with cultural artefacts, and Chennai is particularly so. If you are interested in curios and artefacts, you should go to Dakshinachitra in Muttukadu. It is a museum of ancient local art and crafts, and features scores of interesting exhibits and life-size statues. You can also buy some offbeat stuff here while you browse the cultural village. We recommend their handmade rugs and ethnic South Indian jewellery. Nataraja statues at Poompuhar. Anna Salai, also known as Mount Road, houses the famous Government emporium Poompuhar. Here, you can find the most exquisite and unusual sculptures, textiles, handicrafts and other items of cultural interest. Don’t go there looking for contemporary souvenirs like tees and tea coasters. But if you have a fascination for intricate Nataraja and Vishnu statues, or handmade metal jewellery, then this is the destination to check out. Rare paintings at Mount Road. Though it looks like a hole-in-the-wall, the Old Curiosity Shop on Mount Road has priceless things to browse and buy. It has been around since pre-Independence days, and has a vast collection of locally made curios. There are several rare items like jewellery, bells, clothing and others that are several decades old. Shopping here is like bringing back a rare piece of local history. Graphic Chennai tees at Chennaigaga. How about some fun with your shopping, with a dash of Chennai thrown in? If you’re a fan of graphic T-shirts, you should certainly check out Chennaigaga, a new place that retails graphic tees rooted in the cultural ethos of the city. It is a good destination for a dose of contemporary pop culture, but some of the T-shirts will require some deciphering if you’re not well versed with popular references! Traditional toys at Chaya. As gift stores go, you might not think much of Chaya at first glance. But take care to browse for a while, and you will notice that most of their wares are one-of-a-kind. We recommend their framed paintings in the traditional style for your living room, and the intricate statues and showpieces as well. The store also features Tanjore toys that are no longer made anywhere in the country. Organic food at Auroville. If you are a fan of healthy eating and organically sourced produce, then you should head straight to Naturally Auroville, inside Nunambakam open market. The produce is sourced from Auroville Ashram in Pondicherry and retails exclusively here. Silk sarees at Nalli. The entire country is fond of the gorgeous silks sarees and dress materials at Nalli in T Nagar. It is somewhat of a tradition in most Western and Southern communities to complete the bridal trousseau shopping at Nalli. You can haggle for the best bargains in the other shops in the market as well. Traditional handicrafts at Victoria Technical. Victoria Technical Institute trains artists and artisans in a variety of traditional and contemporary arts and crafts. You can visit the Government-run institute at Anna Salai road, and shop for traditional bronze handicrafts here. On the plus side, all the profits from the sale are returned to the artisans. Traditional sweets. Have a yen for a sweet but don’t want to eat the usual ice creams and gulab jamuns? Head to the row of confectioners at T Nagar market, where you can get locally prepared, delectable Chennai sweets of all prices and description. The shops also do a good job of packing boxes for your home. Cotton clothing. Locally sourced and cultivated cotton finds its way to Cotton Street near Nungambakkam. Chennai weather can be unreasonably hot, so cool cotton clothing is all the rage here. Shop for simple but functional styles in uppers and bottoms, and pick out some unique items like mundus and cotton sarees with dark borders. Now that you’re here, how about offsetting the long shopping tours with some R&R at a 5 star hotel in Chennai? 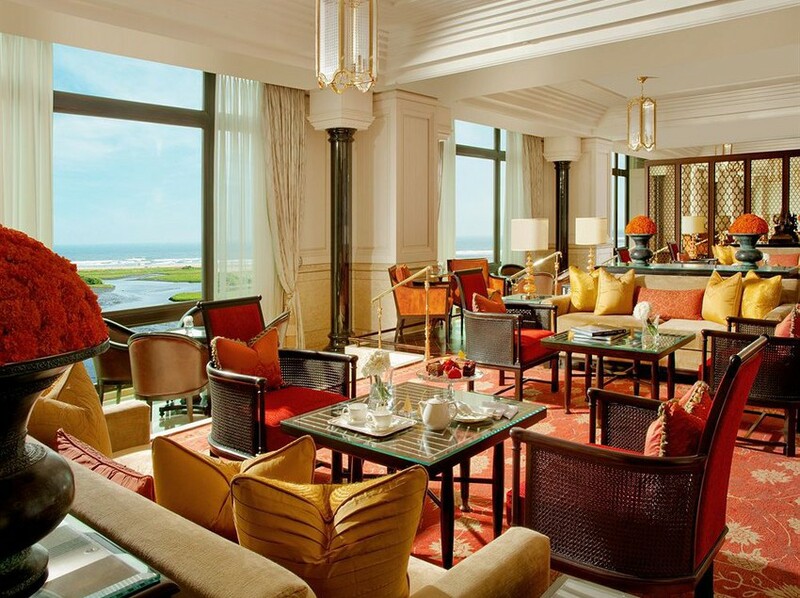 We recommend booking a hotel room in Chennai’s The Leela Palace, which offers the most luxurious rooms and best on-site amenities. Your vacation will be made doubly special by checking into this exquisite hotel in Chennai. Previous PostThe most effective dog training tips – for you!